Bohemian Rhapsody editor John Ottman wishes he could go back and recut a scene that has since gone viral. Ottman won an Academy Award for his editing work on the biopic, which has been puzzling several cinema fans since the movie contains some pretty textbook cases of horrible editing. One particular scene of a band meeting from the movie has been viciously mocked online and one can easily see why it is so easy to attack. Bohemian Rhapsody was not a critical success upon its release. However, the Queen biopic proved to be a box office earner and caught the attention of the Golden Globes and Academy Awards, despite backlash over director Bryan Singer. One of the more confusing aspects of the movie is the editing and even the editor wishes that he could go back in time and recut aspects of the movie. John Ottman had this to say when asked about the viral band meeting clip. "Oh my God! Wow. I didn't know about that, but I know why that's out there. Whenever I see (the scene), I want to put a bag over my head. Because that's not my aesthetic. If there's ever an extended version of the film where I can put a couple scenes back, I will recut that scene!" The offending scene is reportedly one of the first scenes that Dexter Fletcher shot after taking over for Bryan Singer, who was fired from the project. In the scene, Queen meets their manager for the first time, which is www.mmdst.completely normal and an important piece of the story. However, Bohemian Rhapsody editor John Ottman decided to make several jerky and unnatural cuts, making the scene nearly unwatchable for film students. 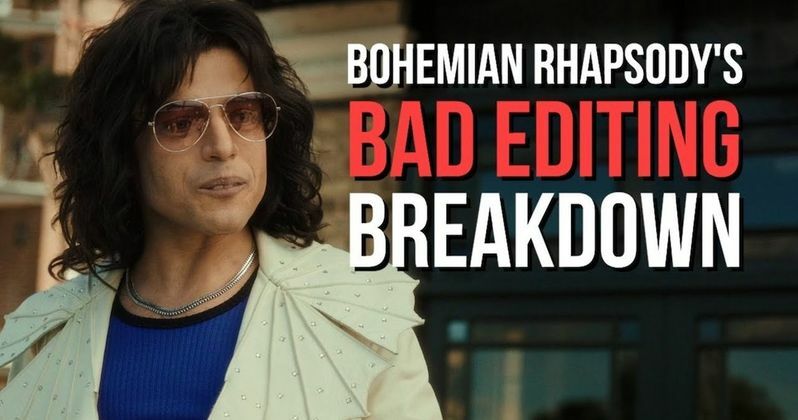 That scene, along with others in Bohemian Rhapsody have many wondering just how the movie won the Academy Award for Best Editing. The editing of the movie was reportedly done with severe time constraints, according to John Ottman. That seems a bit odd, especially since the biopic had been in development for over a decade before it actually hit theaters. If he gets the chance, Ottman would love to go back and do some touchups to his Academy Award winning work. Even an average moviegoer with no film background can understand that 60 cuts in under two minutes is a bit excessive and a major problem that a film teacher would more than likely give an F grade for. With that being said, this just continues the baffling success of Bohemian Rhapsody as people try and figure out how the movie made it so far. Rami Malek's performance has been widely praised, so that is understandable, but the biopic should not have received an Academy Award for Best Editing. You can watch the scene below, along with a video that breaks down other offending scenes, thanks to 20th Century Fox.